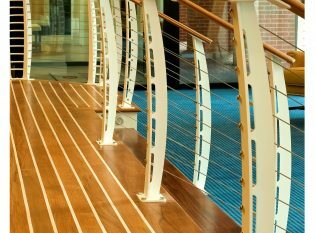 Material and Finish: White powder-coated steel posts with teak wood top rail and stainless steel cables. The Crowne Plaza Hampton Marina hotel has a premier location directly on the Chesapeake Bay in Hampton, Virginia. 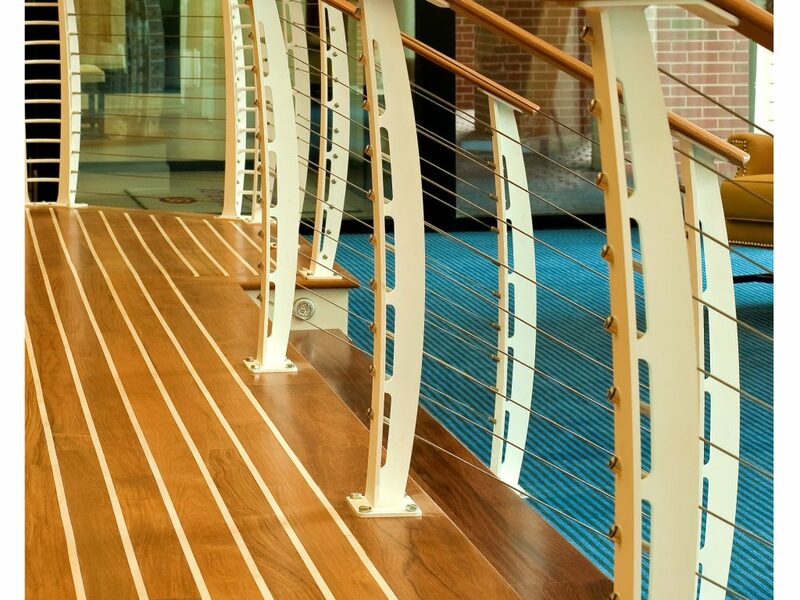 You can dock your boat in the marina directly in front of the hotel and walk to nearby restaurants, bars, and shops, making it the perfect vacation destination. 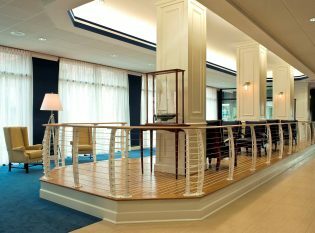 In 2008, Resort Interiors, a premier interior design firm specializing in the hospitality industry, worked with the Crowne Plaza for a major facelift. 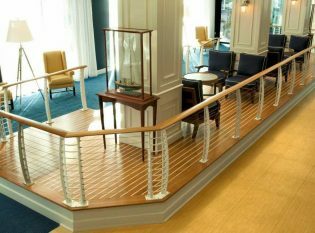 Because of the hotel’s stunning location, the designers wanted to give the hotel a fun, nautical theme through the use of different materials, textures, and finishes. 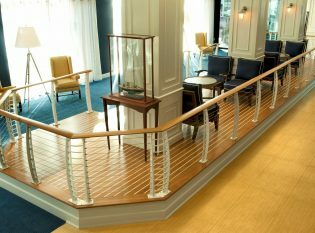 Resort Interiors completed a full renovation of the hotel’s main lobby. 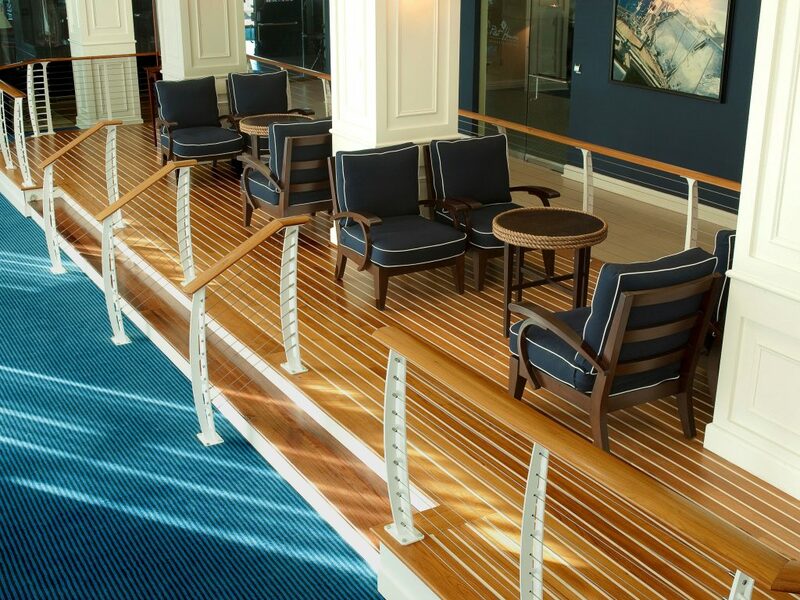 They designed a new seating area with blue walls, a white trim, and carpeting that joins blue and tan together to simulate ocean waves meeting a sandy beach. 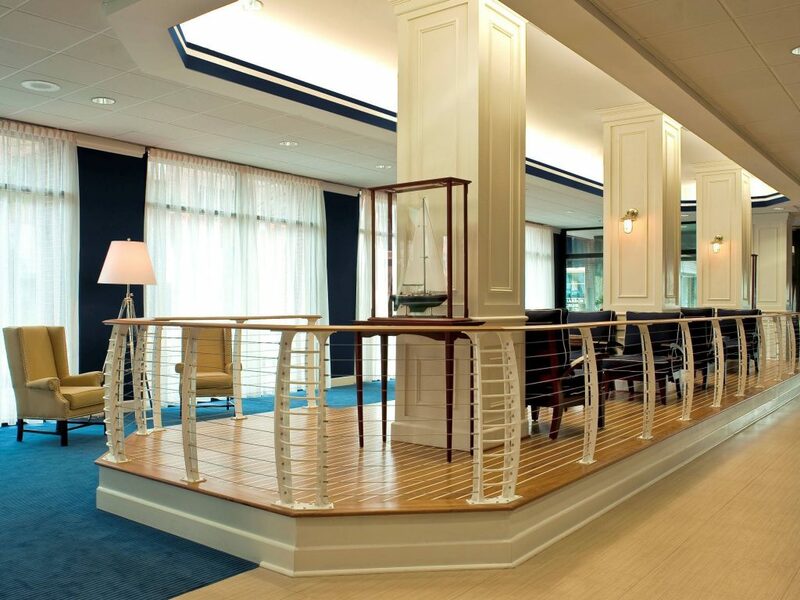 The seating area also features a raised platform with teak and holly flooring and our cable railing. 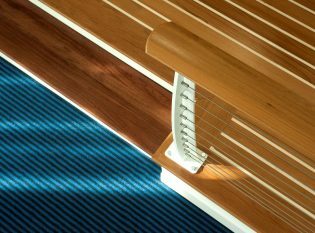 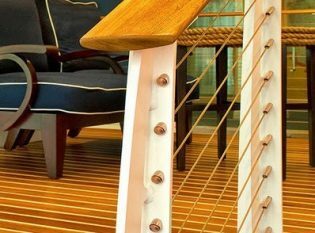 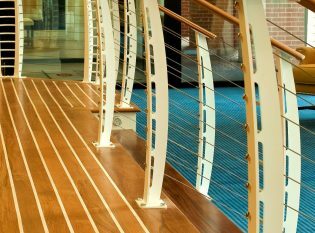 For the railing, Resort Interiors chose our Keuka Style post design which we originally designed to emulate the railings commonly found on ships and yachts. 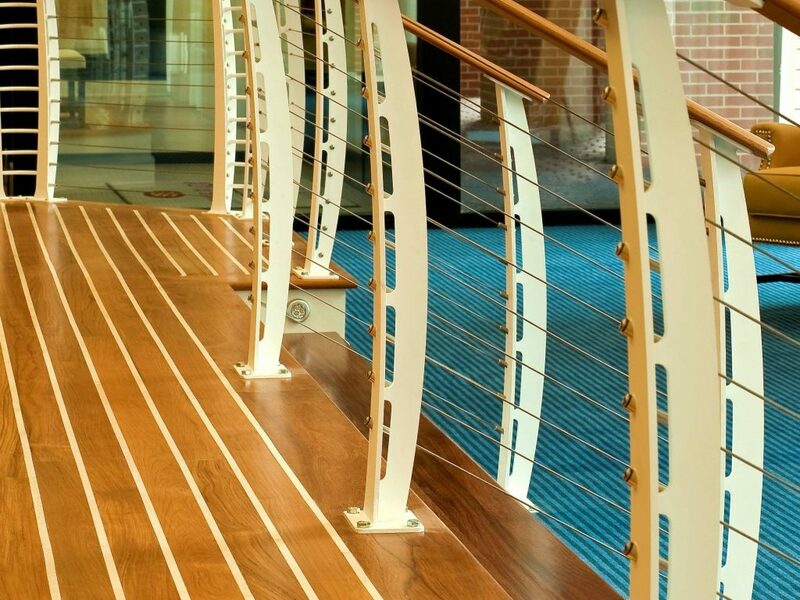 The nautical-style railing has stainless steel cable, white powder-coated steel posts, and a teak wood handrail. 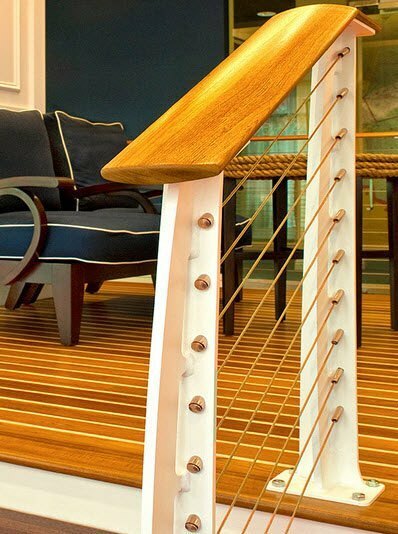 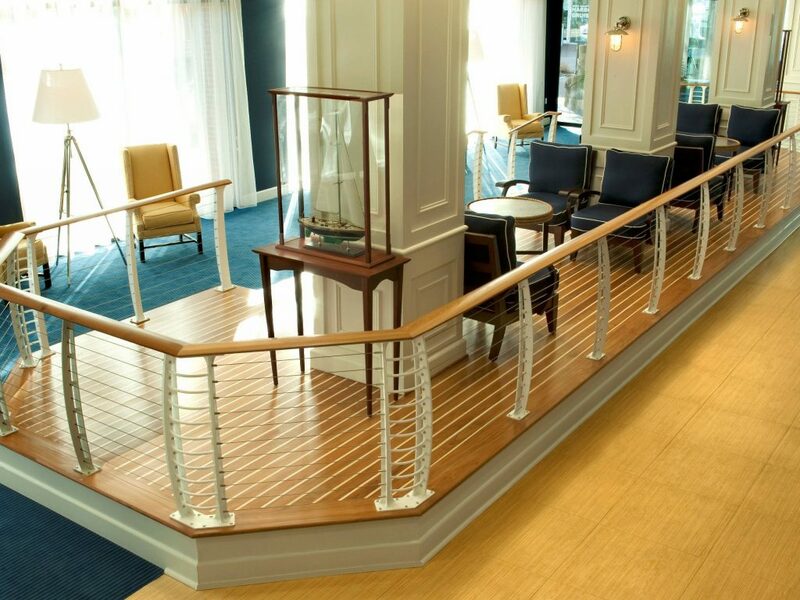 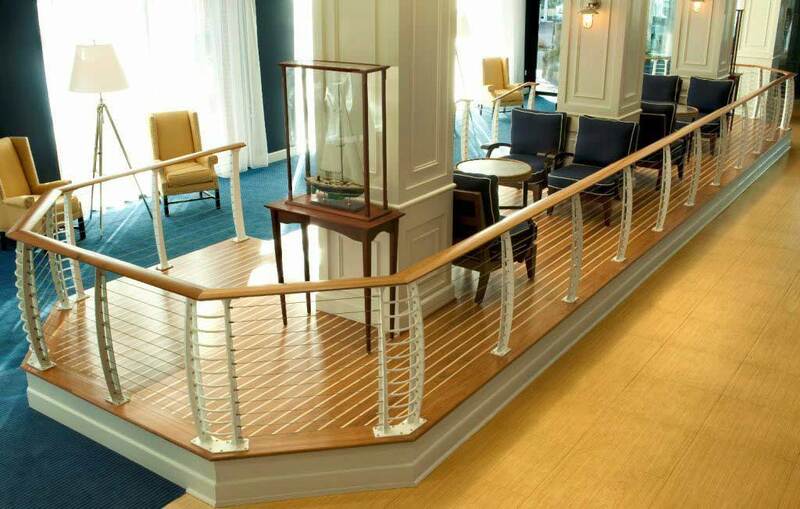 Our railing is also featured in the hotel’s restaurant and bar Regatta Grill and Latitude 37.